Welcome to Summit Retreat! As friends of ours, we look forward to providing you with Lake Shasta’s unmatched lodging experience. Few properties in California are as private and picturesque as Summit Retreat. Summit Retreat is overseen by the owner and his personal staff. 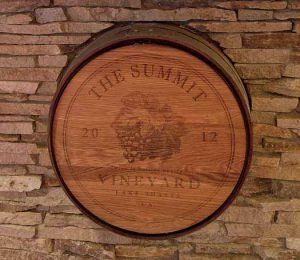 The Summit Retreat is reminiscent of boutique lodging found all over the world, but with high tech design elements complimenting the soaring retreat architecture. It is situated at the summit of a 2,800 foot mountain that is located in the middle of Lake Shasta, which allows for its unmatched spectacular panoramic views of Lake Shasta, Mt. Lassen, Mt. Shasta, the Coast Range Mountains and a 135 mile view to the south of the Sutter Buttes. Relax on a lounge chair next to the pool, overlooking panoramic views of Lake Shasta, Mt. Lassen and Shasta Dam as eagles fly overhead. Listen to the waterfall as it dances into the pool. Bask in the warm ambiance of 35 amber alabaster lights throughout the retreat. Take a walk on the private hiking trail, taking in spectacular lake views and wildlife. 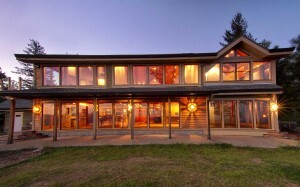 Summit Retreat is truly a unique property set aside only for the enjoyment of invited & honored guests of the owner. Summit Retreat was renovated using the highest quality materials and unmatched design. Every detail was thought through with its guests’ comfort in mind. From the custom built marble fireplace with inset amber lighting, to the custom carvings in the bar, to the stone surround fireplaces, guests can just relax and enjoy the incredible view from almost every area in the retreat. The 5,500 square foot retreat has 6 bedrooms, plus a loft and can comfortably sleep 12 adults (in beds). 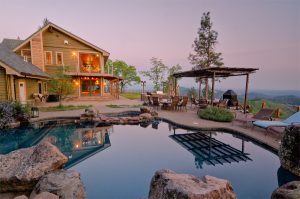 Additionally, there are 6 bathrooms, a commercial grade kitchen, pub & game room; a pool and jacuzzi, detached spa room, 9 fireplaces, and unmatched panoramic views of Lake Shasta, Mt. Shasta and Mt. Lassen.